The following information describes our policy as applied to sales via our online store. All potential customers should read these terms before making a purchase. When you purchase a product or service from Xaxero Marine Software (Xaxero) you automatically agree and become bound by the terms, even if you have not read them. Please read them. Customer is responsible for payment in US dollars for all hardware, software and services purchased through Xaxero Marine Software (Xaxero) via an approved method of payment as described below. We cannot guarantee the availability of a product by the time funds clear or payment is received. Proper billing and accurate shipping information is required to assure timely processing of orders. All orders are confirmed via email within 48 hours. Customer agrees to review the invoice to verify accuracy within 10 days of receipt and notify Xaxero immediately of any discrepancies. We offer online purchasing via credit card or PayPal payment. We will confirm your online order via e-mail or phone within 48 hours. We accept payment via PayPal; however, orders will not be processed until we have received confirmation from PayPal that the funds have cleared the account. A human being reads every order before we charge you and fill your order. We pay attention to comments you include with your order. When you "submit" your order, our store sends you an auto-confirmation and sends us the live order. If questions arise during processing, we will attempt to email or call you before completing the order. You will receive an email or phone confirmation of your order, from someone in our Customer Service Department, usually within 48 hours of receipt. Orders submitted on weekends (Saturday or Sunday) or holidays will be reviewed the next business day. Most orders are filled/shipped within 24 hours of order confirmation (See Shipping and Returns for more information). After your order has shipped, we will send you an email notification that will include the tracking number, if applicable. In the event you are having your order shipped to an address other than the billing address, we recommend you make payment by PayPal. Orders paid by credit card and shipped to an address different from the credit card billing address will experience a delay in shipping until we receive credit card company verification. This shipping delay could be 3-5 business days. For orders with a value of $1200 or greater and payment method of credit card, you must contact the issuing bank and inform them that you placed an order with Xaxero (Xaxero Marine Software) to avoid a delay in shipping of the order. This is known as notating your account. Prices, services and availability of products are subject to change at any time and without notice. It is our goal to offer a wide range of products from standard to cutting edge technology. We also try to offer products and services at a reasonable market price. Prices on this website are current in real time per session. Price quotes obtained from this website and saved, copied or cached are not necessarily valid. Since the computer industry is constantly and rapidly changing we regularly update prices and information. The customer is liable for any/all taxes, duties, levies, and/or fees, imposed on Xaxero or the Customer for delivery of the items within the taxing authority. Support Xaxero agrees to provide initial customer assistance, within the Xaxero warranty period, up to thirty (30) minutes at no charge, for products and services purchased from Xaxero Marine Software. It is recommended that a customer has reasonable knowledge of basic computer and software setup procedures and usage or has someone knowledgeable available for the initial installation. Any and all additional telephone support beyond the initial installation support outlined above, will be billed in increments of thirty (30) minutes at $50.00 USD per increment. We also offer remote assistance support. Remote assistance support requires that Xaxero have access to your computer and is billed in increments of sixty (60) minutes at $100.00 per increment. Remote support is provided only as a convenience to licensed users of Xaxero products and services. Problems and solutions may depend on the nature of your system environment and other parameters that are unknown to Xaxero. By requesting remote assistance, you agree that actions and solutions described, suggested or implemented by Xaxero staff are entirely at your own risk and are provided to you without warranties of any kind. By requesting and accepting a remote assistance session, you accept responsibility for any changes made to the desktop content or system settings. Xaxero does not assume and is not responsible for any liability for the linking and viewing of any desktop content or system performance. Xaxero recommends for your security and privacy that you exit any applications you have open that is displaying content such as personal or confidential information, as the technician will be viewing your desktop; and, that you back up all data and files on the system before initiating a remote support session. Xaxero will not be held responsible for any data loss if any occurs during or after a remote session. Xaxero further recommends that you remain at your desktop and observe throughout the entire remote session. You will retain control for the duration of the session and can terminate the session at anytime. Xaxero continuously undertakes the utmost care when in use of your computer. However, Xaxero cannot guarantee that our service will resolve your problem. All support escalated to Engineering will be billed at $125.00 per incident. All sales come with 30-day Xaxero warranty. If the item you received is defective, contact us within the warranty period and we will replace defective items with an item of equal or greater functionality within the 30-day warranty period. Customers must return items at their own expense and will be charged a return shipping fee for the replacement item. Shipping and handling charges are non-refundable. In the event that a suitable replacement is not available, a refund (less shipping and handling) will be issued in the form of the original payment method. If a problem arises after the 30-day Xaxero warranty period, please contact the manufacturer. All returns must include original factory box, original factory packaging (foam, plastic, wrappings, etc. ), blank, unfilled warranty cards, all instruction booklets and paperwork. Do not deface original factory cartons or packaging in any manner. We will not accept a return if packaging is not in its original condition. All returned merchandise must be in its original mint and clean condition. Returns on damaged or scratched merchandise will not be accepted. All returns must include all the factory accessories which come with the item. Xaxero will not be able to accept any returns if these packed accessories are missing. Enclose the original receipt or a copy of it with your return. Also enclose a brief letter of explanation of the reason for your return and state your request for either a store credit or an exchange. Please include the Return Authorization Number, given to you by our Customer Service department, on this letter and on the outside of the box. Returned merchandise which is lost or damaged in transit is not Xaxero responsibility, but rather the carrier. It is the buyer responsibility to file claims with the carrier upon the discovery of the problem. Any item returned without a Return Authorization Number may be refused. Do not send merchandise back COD or freight collect. We cannot accept such packages. For your own protection, insure all return packages. Xaxero cannot be responsible for packages we do not receive. 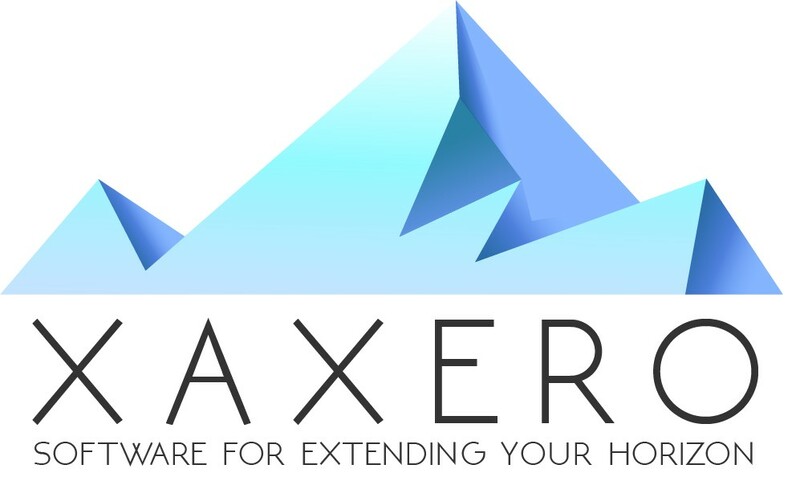 Customer agrees to indemnify, hold harmless, and defend Xaxero or any of its resellers against any claims resulting from or relating to customer breach of this agreement or misuse of the services or equipment used in connection with Xaxero products. Xaxero parties shall not be liable for any harm, loss, liability, damage, expense, cost, suit, claim or demand whatsoever. Under no circumstances will Xaxero be liable for any indirect, aggravated, exemplary, punitive, special, incidental or consequential damages (including damages for lost profits, lost revenues, lost information, business interruption, failure to realize anticipated savings or any other commercial or economic loss), or third party claims, expenses, costs, liability, loss, or damage whatsoever, whether arising in negligence, tort, statute, equity, contract, common law, or any other cause of action or legal theory, even if Xaxero has been advised of the possibility of such damages. Customer agrees, acknowledges and confirms that the limitations of liability set out in this agreement are fair and reasonable in the commercial circumstances of this agreement and that Xaxero would not have entered into this agreement but for customer agreement to limit Xaxero liability in the manner and to the extent provided for herein. By submitting your order, it is understood that you have read and accepted the terms of agreement and are aware of the consequences that may occur and agree to abide by the outlined Xaxero procedures.